Our family of professionals . 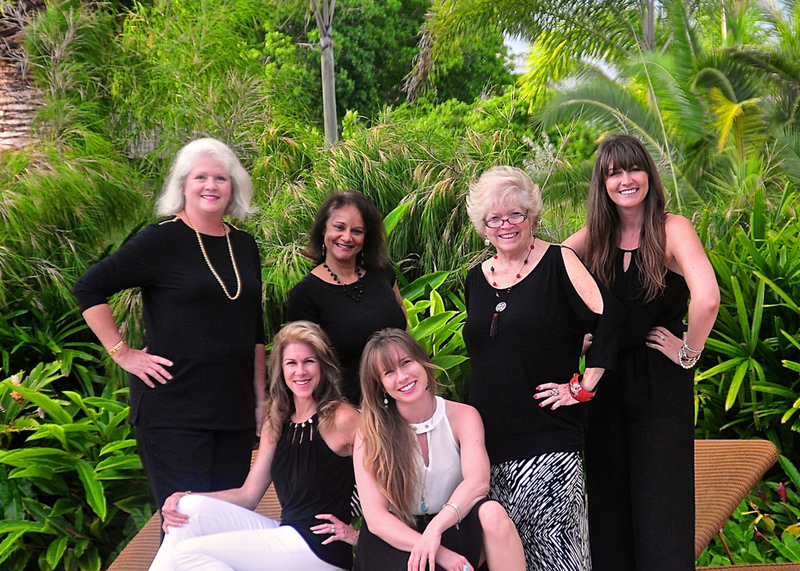 . .
InsideOut is an interior design firm in the Upper Florida Keys headed by principal Julie Eakin. A Keys native, Julie brings over a decade of experience and wholehearted service to her clients and their projects. Her strength is her understanding of her clients’ needs and willingness to make a personal commitment tothe successful outcome of their projects. Julie is also passionate about community involvementand is active in youth mentoring through “Take Stock In Children”, raising money for scholarships and Island Community Church sponsored activities.
. . . born and raised in the Keys, is very familiar with Island design and lifestyles. She followed her passion for art by achieving a degree in art from University of North Florida.. You may see some of her watercolor and acrylic paintings exhibited at our local galleries in Islamorada. We are thrilled that she came on board to create and render for our clients . You will love not only her work, but her warm personality and constant smile that we appreciate so much around our office.
. . . another native of our tropical town and one who strives to incorporate beauty in every design. She is a graduate of the highly respected curriculum of interior design from Florida State University. She not only understands the creative components of design, she has embraced the technicalaspects of designand produces many of our CAD and Cabinet drawings. It will not take you long to fall in love with Alison either. Her sweet and tender nature may fool you into thinking she is quiet and shy, until her witty lines make you laugh out loud.
. . . if you haven’t already met Tess, you’re missing out on our hidden gem. Tess manages all of our client and vendor accounts and keeps our records in perfect order. She is such a pleasure to have and a favorite of our office mascots, Abby & Lola. . . .Paula is our ever-so-detailed Jill-of-all-trades. A five year resident of Islamorada, Paula comes to us with an extensive background in Corporate Project Management and interior design. She is the missing link that completes our family chain. Abby and Lola are pretty excited that she is a regular here too!
. . . our newest addition to the family, Sandra, another Keys native, comes back to us from Atlanta, where she worked as an illustrator and graphic designer. Sandra is a graduate of the acclaimed Savannah College of Art & Design, where she earned her BFA in painting and graphic design. Her computer and artistic talents are invaluable in creating virtual presentations and innovative selections for our clients. Her comedic abilities always make things fun. The foundation of our designs is our dedication to helping you to make smart design decisions for your island home while saving you time and avoiding costly mistakes. Our success stems from establishing long-standing relationships with our clients. Our attention to detail, professional integrity and desire to deliver excellence are genuine. We sweat the details so you don’t have to! The best environments don’t just happen, they are created from the InsideOut! InsideOut strives to create timeless interiors that are interesting and livable using the clients’ lifestyle and needs to drive the design concept. We build relationships with every client, which adds the personal dimension, making the process of building or renovating your home more manageable and in the end more successful.